The LM311 devices are single high-speed voltage comparators. These devices are designed to operate from a wide range of power-supply voltages, including ±15-V supplies for operational amplifiers and 5-V supplies for logic systems. The output levels are compatible with most TTL and MOS circuits. These comparators are capable of driving lamps or relays and switching voltages up to 50 V at 50 mA. Fast Response Time: 165 ns. Maximum Input Bias Current: 300 nA. Maximum Input Offset Current: 70 nA. Can Operate From Single 5-V Supply. It is used as a voltage comparator. 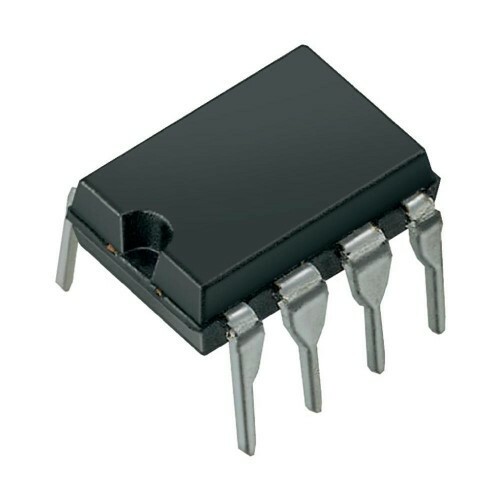 Also Searched as : LM311 OP-AMP, LM311 comparator.